President Barack Obama reflected in a statement Thursday evening on the passing of former South African President Nelson Mandela. "We will not see the likes of Nelson Mandela again," he said. "It falls to us to carry forward the example that he set." There are many examples of triumphant liberation leaders and successful political leaders, but it's rare to find someone who has managed the transition from one to the other. George Washington did it in the 18th century. Mustafa Kemal Ataturk of Turkey did it after World War I. And Nelson Mandela also belongs to this exclusive club. "It is hard enough to find someone courageous enough to lead a revolution, rarer still for them to have remarkable leadership skills," says Jack Goldstone, director of the Center for Global Policy at George Mason University. Nelson Mandela, who became an icon of the struggle for racial equality during a decades-long struggle against South Africa's apartheid system, is being remembered across the globe on Thursday following his death at age 95. 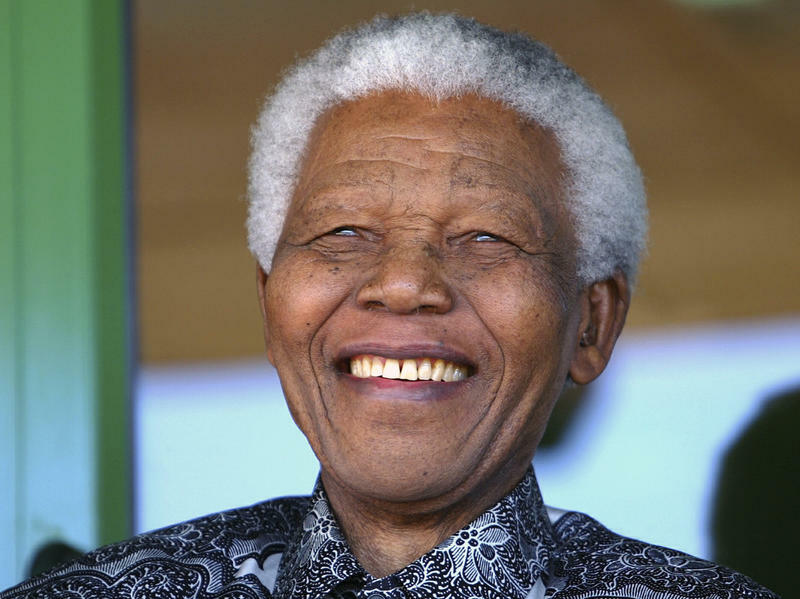 Mandela died after a prolonged lung infection, which had been a recurring problem for him since his days as a prisoner of conscience on South Africa's Robben Island. He served 27 years at the notorious jail. "He is now resting. He is now at peace," South African President Jacob Zuma said in an address to the nation. Can Music and Art Bring Countries Together? From Faith Middleton: Music and art can make your life bigger. And, under the theory that the world is now “flat,” music and art just might dissolve boundaries, making the world a more manageable place. An official of the west African nation of Sierra Leone says the Spanish government should pay reparations to his country and the city of New Haven over the revolt of African captives aboard the slave ship Amistad. The remarks were made in the Elm City last week. 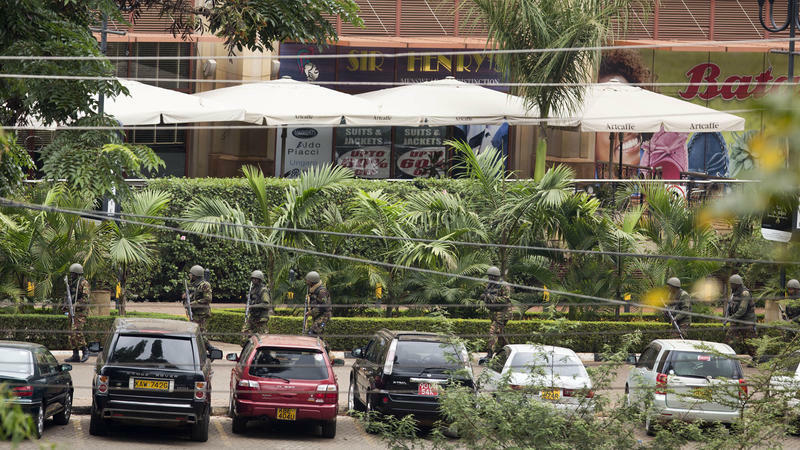 The death toll at an upscale shopping mall in Nairobi has increased to at least 52, and civilians are still inside as militants exchange sporadic barrages of gunfire with Kenyan security troops outside. "The priority is to save as many lives as possible," Joseph Lenku, Kenya's Interior cabinet secretary told AP early today. Kenyan forces have already rescued about 1,000 people, he said. He said that five to 15 attackers are involved in the standoff, but declined to estimate the number of hostages. This week marks the 20th anniversary of Somaliland, a region where residents are fiercely proud of their independence from southern Somalia. It has a population of three and a half million with its own President, flag, military, currency, and parliament, all separate from Somalia and war-torn capital, Mogadishu. But the international community does not recognize it as an independent African nation. Here in Connecticut, there are about 200 families from Somaliland. They call themselves Somalilanders. Archbishop Desmond Tutu will give his last public speech in the U.S. tomorrow night in Hartford. Tutu says his message will call on young people to change the world. Tutu says he'll warn his audience to look out for people like him -- "oldies," he calls them. "For goodness sake, don't allow yourself to be infected by the cynicism of oldies. Dream, dream that this world can become better," he says. The Deputy Chief Executive of the Johannesburg Stock Exchange was in New Haven on Tuesday. She spoke about African capital markets at a special Yale University event. Nicky Newton-King says its important to talk about, in her words, the “elephants in the room." "Things that we don’t talk about that we should talk about if we’re trying to improve and position capital markets on my continent to be really meaningful global players."